Ugaoo.com, an one-stop portal for farming and gardening needs. With over 130 years of existence, Namdeo Umaji Agritech Pvt. Ltd., the parent company of Ugaoo.com has offered excellent services to farmers and avid gardeners throughout the country. Established in 1885 in Mumbai, this ISO 9001-2000 certified company whose R&D has recognized by DSIR, New Delhi has mastered the field of gardening and catering good quality products and services to its customers. Today, it is one of the leading agriculture and gardening companies in India that not only enhances gardening knowledge, but also fulfils the demand for imported vegetables, flower seeds and other gardening and farming related products. With this, they have also attained wonderful results from their range of hybrid vegetable seeds under the brand name ‘Pyramid Seeds’ that ultimately promotes modern agricultural techniques which are important for enhancing production, life and quality of both soil and plant. With years of experience, Namdeo Umaji has introduced Ugaoo.com to reach every corner of India to provide its best quality products. Founder Ugaoo.com Ugaoo is India’s newest and greenest start-up from Pune based Namdeo Umaji Agritech Pvt. Ltd, which envisions being the one stop shop for all gardening and farming needs. Ugaoo is the first online destination in India dedicated for gardening supplies and all necessary information provided to the users. Based out of Pune, Ugaoo.com was founded by Siddhant Bhalinge, who is a graduate of California State Polytechnic University, Pomona with a Bachelor’s Degree in Landscape Architecture. 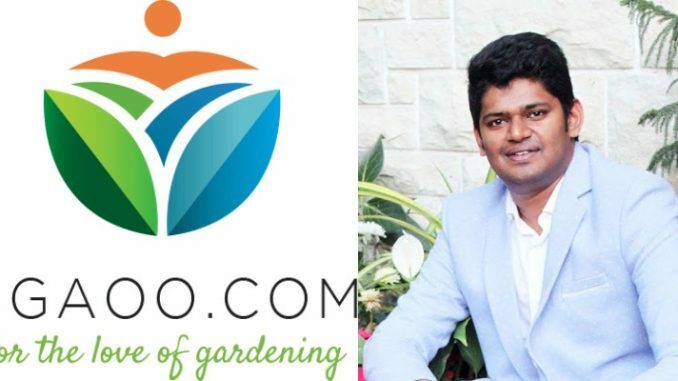 With a dream to bring the green revolution in India, he launched Ugaoo.com, a one-stop interactive portal for all farming and gardening needs, in late 2015. He envisions to bring in a green revolution in India by addressing larger problems such as climate change, drought tolerant crops, pollution mitigation and sustainable urban landscape practices to move towards a greener India. Currently, the team strength of Ugaoo.com is 24 people which includes highly qualified developers, marketing executives and operations managers who work with dedication towards attaining100% customer retention and satisfaction. Ugaoo.com has completed over 16,000 orders, thus connecting experts in the farming and agricultural field with the layman and helping them in the journey towards going green. The increase in the brand awareness is visible through the tremendous growth in orders. About 50% orders received are from the Metro cities, while the other 50% orders recorded are from the Tier 2 and Tier 3 cities. Currently, Ugaoo.com is growing at a pace of 40% per month. The company has partnered with umpteen organizations like Tree Ganesha, Navi Mumbai Municipal Corporation and Organic Market. At Ugaoo.com, they aim at selling quality products and making the best of products available in the remotest areas of India. They consider it as their goal to educate and assist all the avid gardeners and farmers with best management practices, on-site workshops, step by step guidance through their knowledge centre.